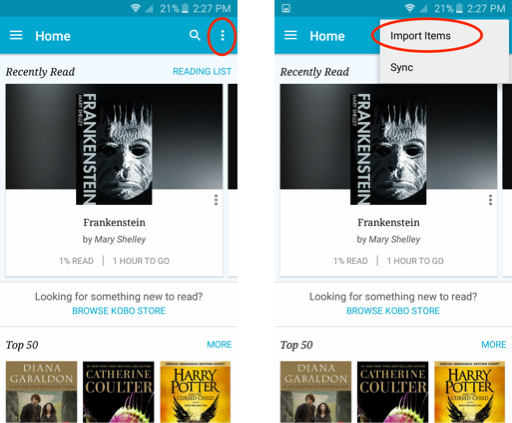 If you have a Read Anywhere™ book, find your device below to view step-by-step instructions. Which app do you use? 1 Click the "Downloads" button below and sign in with your email and password. If this was your first purchase from The Everywhere Store™, you'll find a temporary password in your receipt email. 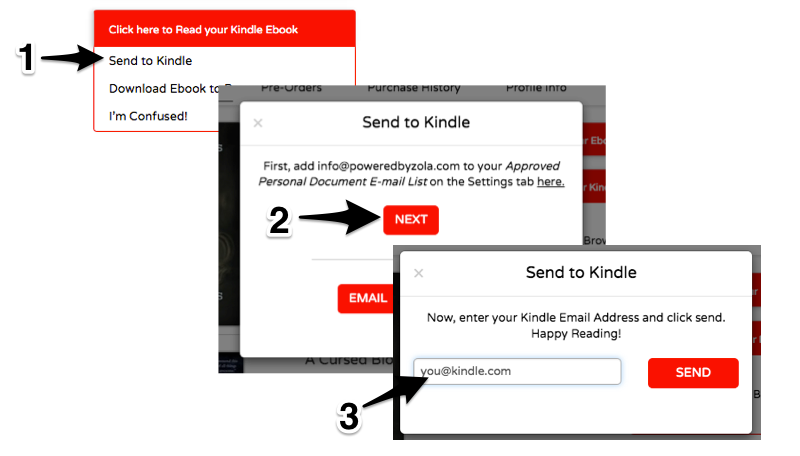 2 Click "Get Your Kindle Ebook" and then "Send to Kindle." 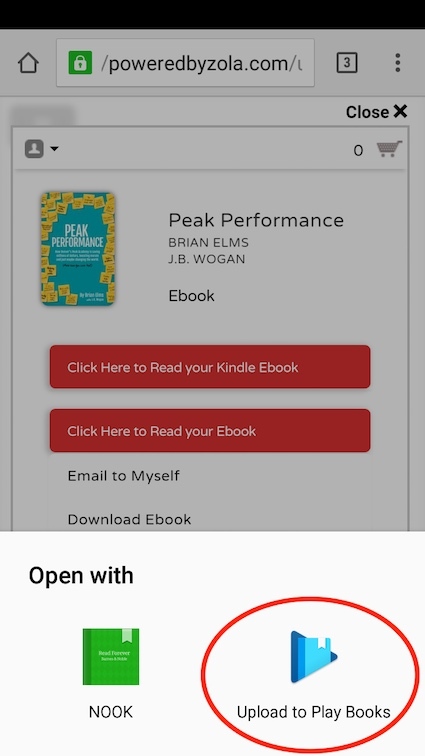 3 There, you can "Email yourself a copy"
4 When you receive the email, click the file at the bottom and then "Open in Kindle"
1 Click the Downloads button below and sign in with your email and password. If this was your first purchase from The Everywhere Store™, you'll find a temporary password in your receipt email. 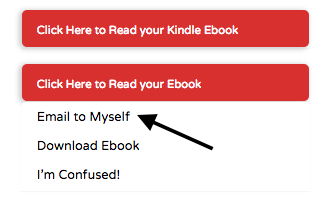 2 Select "Get Your Ebook" and then "Email to Myself" to send yourself a copy. 3 Open the email on your device and click the file. 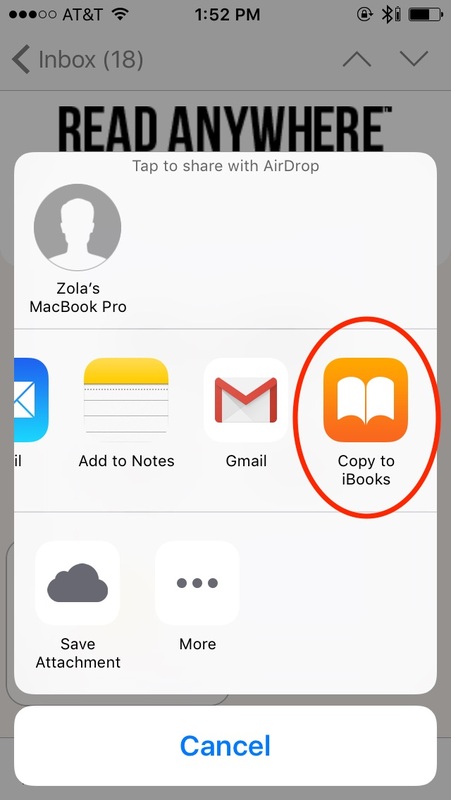 Then select "Copy to Play Books." 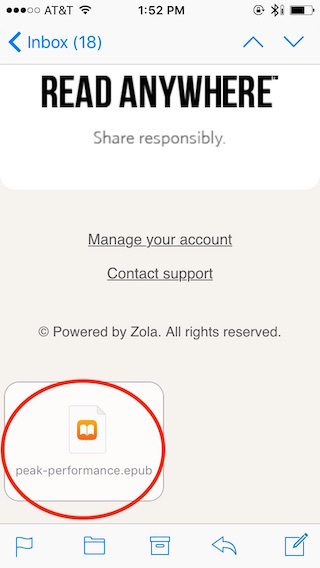 3 When you receive the email, click the file at the bottom to download and then "Copy to iBooks"
3 When you receive the email, click the file at the bottom and then "Open in Nook"
1 Go to your Kindle account on Amazon.com and add [email protected] to your "Approved Personal Document Email List." Click Here. 2 Retrieve your Kindle email address here. 3 Click the "Downloads" button below and sign in with your email and password. If this was your first purchase from The Everywhere Store™, you'll find a temporary password in your receipt email. 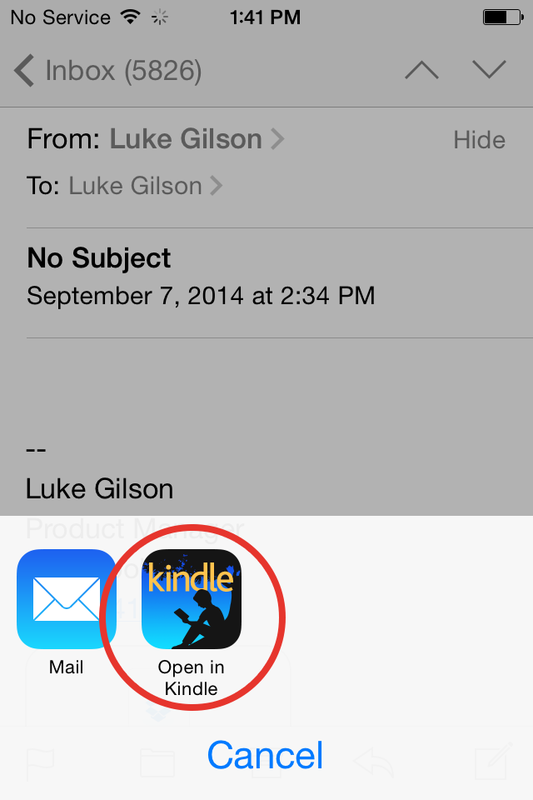 From the Downloads tab, choose "Get Your Kindle Ebook" to send your ebook to yourself! 1 From your device, click the Downloads button below and sign in with your email and password. If this was your first purchase from The Everywhere Store™, you'll find a temporary password in your receipt email. 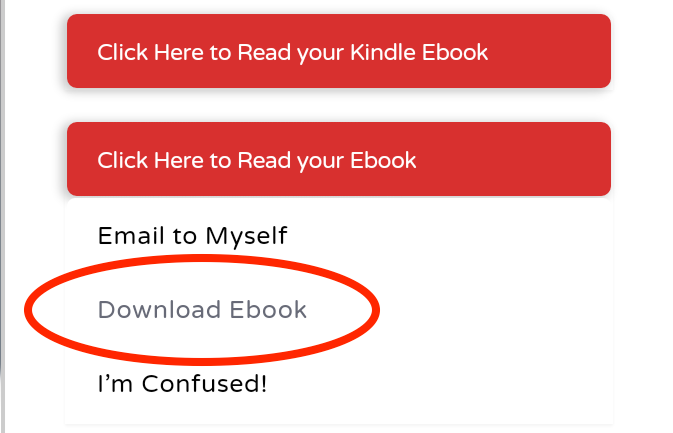 2 Select "Get Your Ebook" and then "Download Ebook." 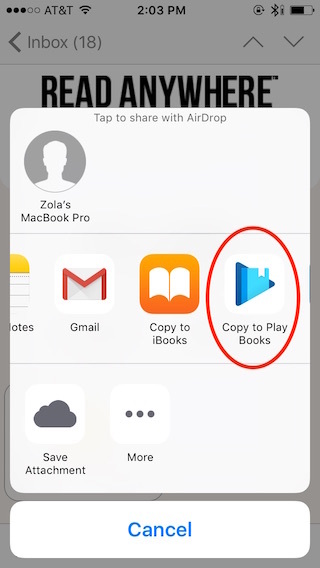 3 Click "Open" and then "Upload to Play Books." 1 From your device, click the Download button below and sign in with your email and password. If this was your first purchase from The Everywhere Store™, you'll find a temporary password in your receipt email. 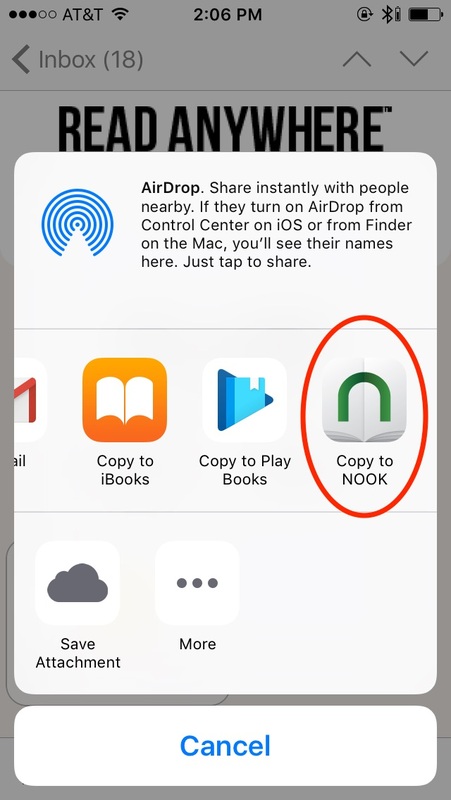 3 Click "Open" and then "Nook." 1 From your device, click the Downloads button and sign in with your email and password. If this was your first purchase from The Everywhere Store™, you'll find a temporary password in your receipt email. 3 Go to your Kobo app. From the options menu, select "Import Items." 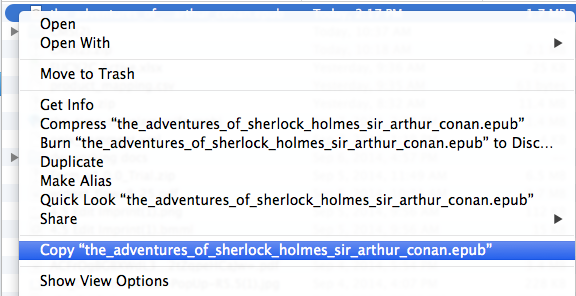 Select your book from the list and click "Import Selected." 3 Click the "Downloads" button below and sign in with your email and password. If this was your first purchase from The Everywhere Store™, you'll find a temporary password in your receipt email. Select "Get Your Kindle Ebook" to send your book to your Kindle account. 1 Click the below Download button and sign in with your email and password. 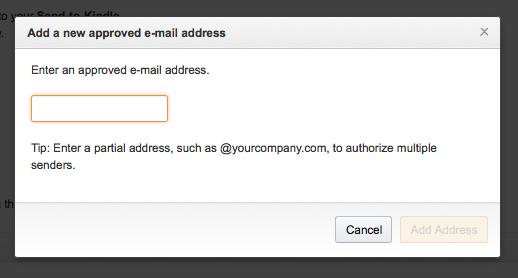 If this was your first purchase from The Everywhere Store™, you'll find a temporary password in your receipt email. 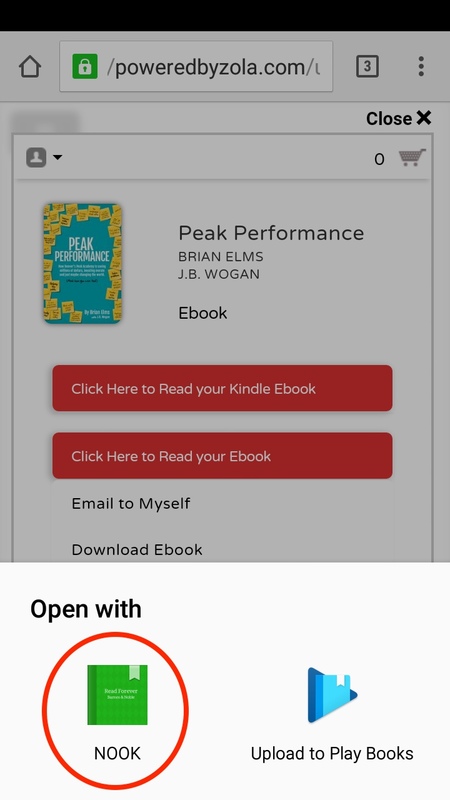 Select "Get your Ebook" to download your book to your computer. 2 Connect your Nook device to your computer using a micro-USB cable. 3 Right-click on the downloaded file and select "Copy." 4 Go to your Nook Folder, and find the "My Documents" folder. 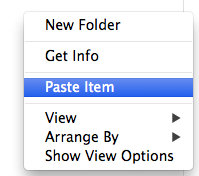 5 Right-click and select "Paste." © Zola Books. All rights reserved.